What succulents do not require day-long direct sunshine? The list is pretty small as to which succulents actually prefer less sun. 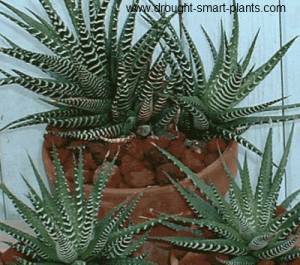 The one that most people have trouble with because they try to grow it in really bright light like the Aloe it resembles is Haworthia. They will go orange if the light is too bright for them, so that's a giveaway. They prefer less sun and more moisture (but not too much!) to be totally happy. The other succulent plants that have evolved in a bright but shaded environment are the Holiday Cactus, Christmas, Thanksgiving and Easter Cactus as they're called, after the time of year that they flower. These guys need specialize care, and are only happy with a dormant period and a time to ripen the flower buds. 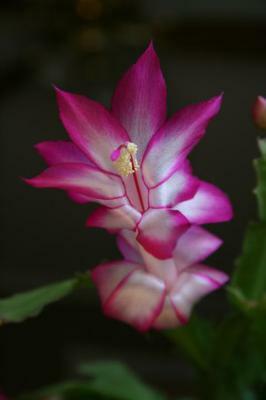 You can see more about them here; Schlumbergera. I'm sure there are others that don't mind less bright conditions, but they are all (except these two) happier in full sun.